Holidays should be a time for you to kick back and relax, take a well earned break. It’s also a time of fear, especially about being out of control when it comes to diet and food. So how do you let down your hair, enjoy yourself all while not feeling guilty and not piling on the pounds? It’s called damage limitation and involves just a little bit of common sense. If you plan on eating and drinking everything in site during the holidays with a view to starting in January I’m sorry but I can’t help. Not only is it crazy but come January your prolly gonna be too far gone to even contemplate getting off the couch. Remember a New Year Resolution is just a wish without any ACTION. Let’s put this plan in place so we don’t end up looking like we are wearing a Santa suit this Xmas. By my calculations it’s 15 days till the big day. Theres still 2 weekends coming up before hand, which normally mean nights out and parties. Let’s tackle each weekend as it comes, starting with this Friday. If you have a night out or anything that involves alcohol you need to follow the instructions in my FREE guide which you can sign up for below. As for nutrition control the controllables, meaning be as good as gold right up till your night out. It’s time to get away from this destructive mindset and attitude, be a grown up, eat like a grown up and THEN enjoy your night. If you have consecutive nights out or a double dunter as I like to call it, you NEED to follow the FREE BOOZE GUIDE. BUT if you’re feeling really fragile and can’t resist the urge of a takeaway then again I’ve got you covered check the FREE TAKEAWAY GUIDE. Obviously the idea is to follow the alcohol guide, don’t kick the arse out of it and get back to normal ASAP but there’s always that one person. Here’s the really important part, MON-FRI your super strict, healthy grown up meals, no takeaways, rubbish or snacks. Stick to your 3 meals a day, and try to drink water only, it’s only 5 days and you will have another weekend just around the corner. Before you know it will be Friday again, most people will be having their Xmas night out either the 18th/19th. Our Reactive night out is on Sat 19th and guess what we are doing first? Getting some healthy tasty grub by going for a nice meal, yep forget this rubbish that eating is cheating. If you don’t eat before drinking alcohol your asking for trouble, the next day or even that night you will be like a gremlin getting fed after midnight. Nothing will stop you, you will eat anything and everything and then need some more, so eat something before you drink. READ THE GODAMN ALCOHOL GUIDE, TAKEAWAY GUIDE (for emergency only), eat before you go out and get back to NORMAL ASAP the next day. If you’re out on the 19th it’s only 5 days to Xmas eve, and you might even have a works lunch or something else planned. The less time between drinking bouts the harder it is to recover, but it’s still possible if you do it right. Next up is the big day, don’t even think too much just let your hair down and enjoy, follow the same principles the next day and think about DAMAGE LIMITATION. Do the exact same for Hogmanay and New Year, job done. I’ve got 2 weeks off over the holidays and plan on keeping up my training to the same extent, most people will do zero training and have greater expectations than me. My goal over the 2 weeks is to stay the same, and maintain my weight. Be realistic, and don’t set crazy expectations to drop a dress size or a few lbs when you’re on holiday. 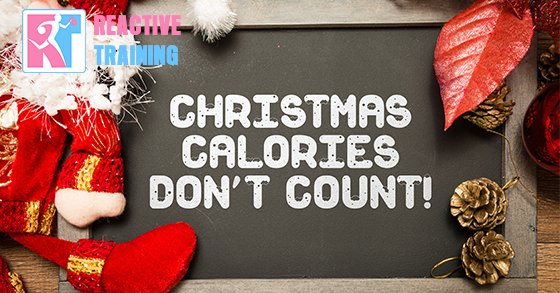 If you look after yourself, follow the guides and stay reasonably active you can have a blinder of a holiday break without feeling like you’ve undone all your good work for the year. P.S. If you want the FREE guides just sign up by clicking here!! !